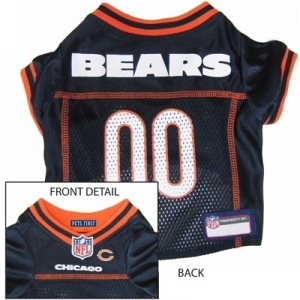 Officially licensed Chicago Bears dog jersey! The back of the jersey has screen printed team logo, numbers, contrast stitching and woven jock tag. Front of jersey features v-neck design, with screen printed team logo and officially licensed NFL shield logo.